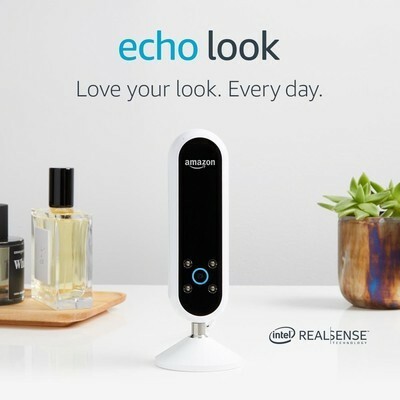 Early last year, Amazon announced the Echo Look, a device aimed to help people improve their fashion sense. When it was first announced, the company made it invite only, and up until just now, it has remained that way. The only way to buy one was to request an invite and patiently await it to be delivered to your inbox, but now anyone in the U.S. can order one for $199.99. Whether you want a second opinion on the outfit you’re using for your big first date, or just want to build up a photo collection of your favorite outfits, the Echo Look can help you with that. It’s an Alexa-enabled camera device that has built-in LED lighting and depth sensing to help capture the outfit while blurring the background of the photos. Using just your voice, you can take full-length photos, 6-second videos, and more. The Echo Look can suggest items that pair well with clothes that you own from Amazon’s extensive collection of items for sale. In addition to the fashion features, the Echo Look also has all of Alexa’s other great features, like the ability to answer questions, control smart home devices, and more. Our pal Modern Dad put the Echo Look through its paces, so be sure to check that out and get your order in now.